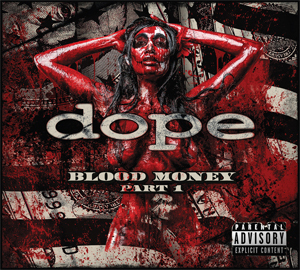 DOPE has released their Music Video for the first Official Single, "Hold On", off of their Blood Money Part 1 LP. Edsel Dope co-directed "Hold On" alongside his old friend and acclaimed video director Dale Rage Resteghini. 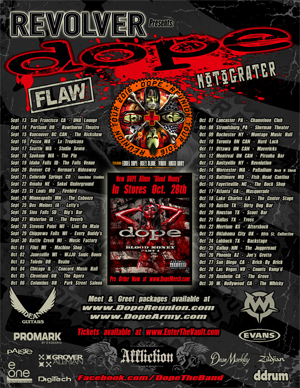 "I think that it's fair to say that DOPE is one of the more evolved bands from our genre & time period," says Edsel. “Our new single, "Hold On", is a great example of this. It sounds like DOPE, but it is clearly, very modern, and in no way reflects a band who is stuck in its past. The hooks are melodic and memorable, while the musicianship is on full display. I'm very proud of DOPE's ability to walk that evolutionary line." "This is by far, the most personal & vulnerable piece of art that I've ever released," says Edsel. "Unlike some of DOPE's more theatrically driven works, "Hold On" is totally uninhibited, it is a reflection of my own personal story, told through a singular piece of art. Truthfully, this was a very difficult piece for me to complete at times; but, in the end, it has also been a very healing experience. I hope that the vulnerability and sincerity will resonate with people." "Intro: Confessions Of A Felon"